If you’re like me, the brassy gold fixtures of the past are the things of nightmares, not dreams. But the design experts at Zillow Digs say this retro statement hardware color will be reincarnated in 2015 with better style, meaning more shine, sleeker lines, and sometimes as part of a “mix-and-match” metal scheme in hardware. Sounds promising. 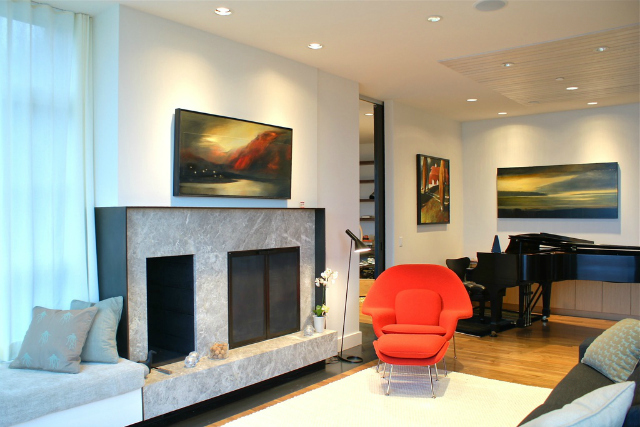 Midcentury Modern will be one of the biggest up-and-coming design trends for 2015, but should be used for accents. Photo courtesy of Zillow Digs. I am a superfan of midcentury modern, but when it takes over an entire design aesthetic, the result can be pretty sterile and uninspiring. 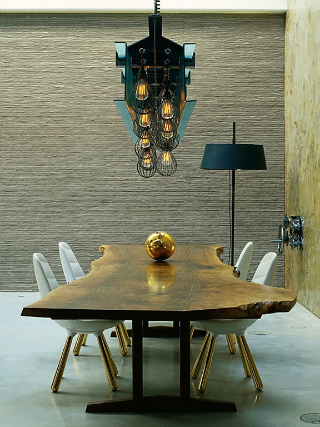 So I’m thrilled to see that the 2015 trend forecast calls for midcentury accents and elements to be carefully integrated into an overall style. It looks like we’ll be seeing this trend in everything from architecture to furniture. Here’s another throwback design style that’s making its way back in a new form, from digital prints to textured wall coverings. 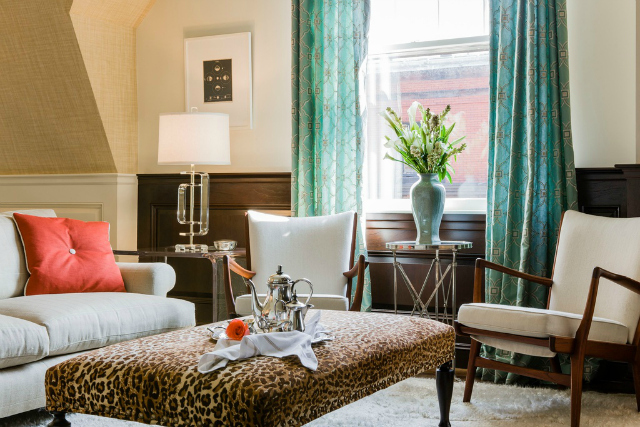 “Wallpaper is coming back in a big way,” says Zillow Digs designer Jamie Beckwith of Beckwith Interiors in Nashville. We’ll be seeing a lot of textural wallpaper, in particular. 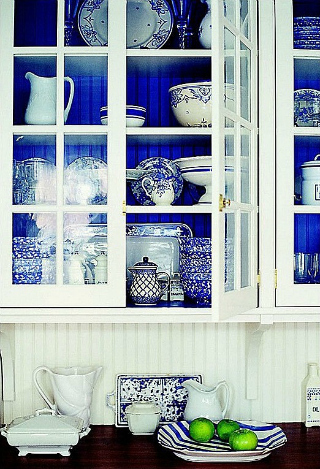 We’ll be seeing more pops of blue in the designs of 2015. Photo courtesy Zillow Digs/ewa mari. Blue is always in my design playbook, but in 2015, it’s a particularly fine choice because it works so well with Marsala, the 2015 Pantone Color of the Year. 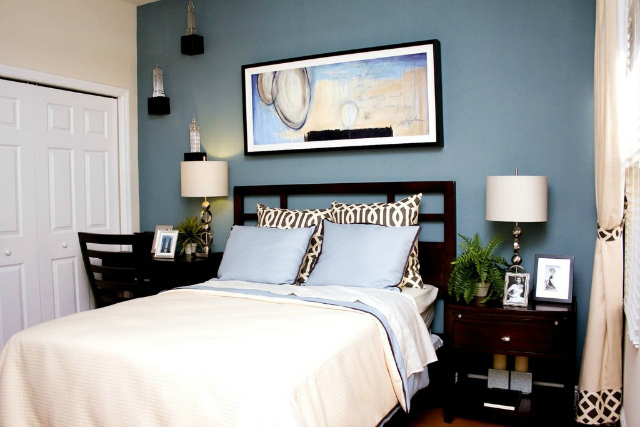 “Pops of indigo blue or deep navy will become a staple in home design this year, as their deep natural hues become extra vibrant against warm earth tones like Marsala,” said Kelly. 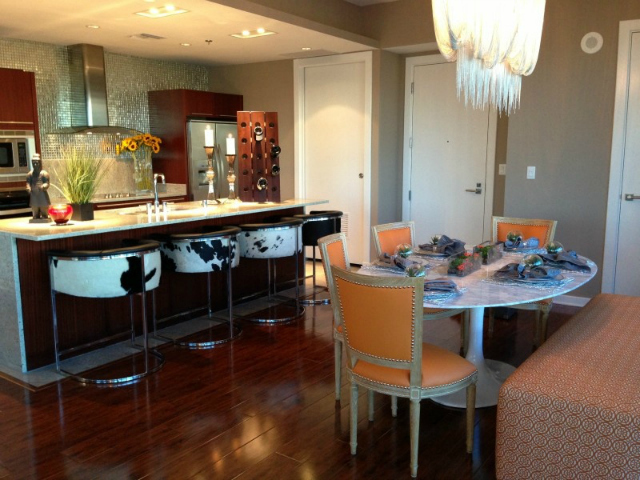 Cowhide will be showing up in home accents in 2015, like the bar stools pictured above. 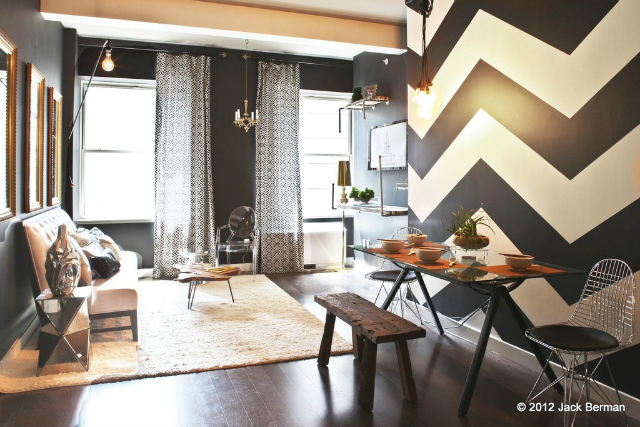 Photo courtesy of Zillow Digs/Inside Style. 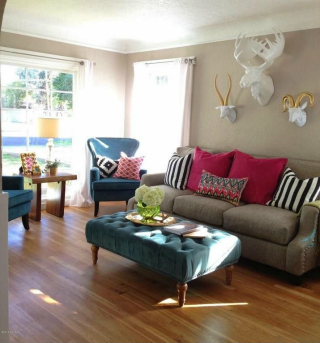 Since we’re in Texas, the use of a cowhide rug in interior design is nothing new. But this 2015 trend will see cowhide in unexpected accent pieces, like the bar chairs pictured above, throw blankets, or even framed as art. Now let take a look at the 2014 blockbuster trends that are fading fast. Chevron prints became one of the most overused trends in 2014, and overkill destined it for the dustbin. Photo courtesy Zillow Digs/Jared Epps. I have to admit, there’s a lot of chevron in my personal design scheme. It’s a playful pattern and offers fun movement. But I’m also the first to admit, it’s EVERYWHERE: When it shows up as a style trend for dog food bowls, you know it’s overdone. Personally, I love bright colors, but the folks at Zillow Digs say they’re “not built to last” and are out in 2015 (I’d rather see the ubiquitous plaster/animal heads go away).“It’s hard to work with such saturated colors,” says Zillow Digs designer Jamie Herzlinger. Matchy-match furniture usually looks boring to me, and a little too “perfect.” The style gurus at Zillow Digs say that eclectic, multi-era decor is here to stay, and polished, matching furniture should be mixed up with different pieces. The era of the painted accent wall, especially in bold reds, is coming to an end as designers focus more on textured wall coverings and wallpaper in 2015. What’s on your personal style watch list for 2015? Do you agree with these predictions? Comment and let us know! Great piece! 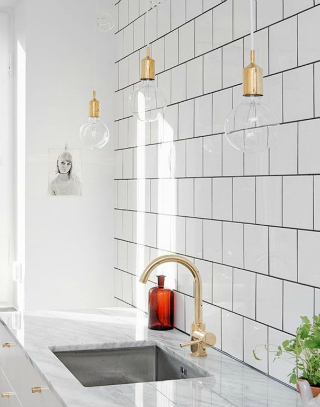 I do confess to loving gold fixtures. I think they are a classic! I love these predictions, and I am especially glad to see that mix-and-match is making a comeback! I love the Bohemian look of mixed furniture pieces–and the bright colors that are often part of the mix. I may just have to buck that style “no-no” for 2015.